Come Worship With Us! Join us in glorifying the living God in worship every Sunday morning at 10:45AM (10AM in July & August) in our Chapel. Music by our Chapel Choir and Youth Choir enhance the scripture and preaching to lift hearts and minds heavenward. The sacrament of the Lord’s Supper is served on the first Sunday of the month and on special occasions. Pastor Ruth delivers a weekly children’s message coordinated with her sermon. Children’s worship bags are provided to help little ones stay engaged during the service. The Chapel: Constructed in 1883 as the Sunday School Room, this spacious high-ceilinged room with arched stained glass windows was converted to an auditorium in the 1920s, and then into a gymnasium in mid-20th century. In 2015, the room was rededicated to the glory of God as our Chapel. While the main church sanctuary is off limits due to structural problems, the Chapel’s warm and inviting aura is perfect for our congregation at this time. The Chapel Choir: From September through June, the Chapel Choir enhances worship by glorifying God with an anthem and by supporting the singing of the congregation. The repertoire ranges from traditional to contemporary. Professional section leaders also serve as soloists. 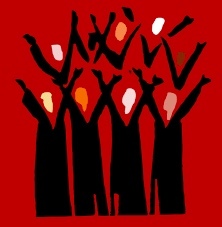 The choir rehearses on Thursday evenings from 7:30-9:00 PM. New singers—with or without experience—are always welcome. 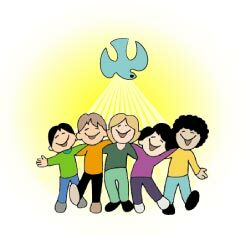 Youth Choir: A choir for children and youth rehearses on Sundays and sings approximately six times a year. We take care to choose songs that are musically interesting to kids and that carry a message to help them internalize the good news of the Gospel.